For the most part, email accounts are things we always have access to. But there are some exceptions. Some types of email accounts, like work emails and school emails, depend on our current status. Because of that, we can lose access to those email accounts pretty easily. That’s normally not an issue, but it’s not ideal if you lose access to an account that’s tied to another service or website — like your Apple ID, for example. If your Apple ID is associated with an email account that you no longer have access to, you might want to change it. Here’s how. 2 What If I Don’t Remember my Password? 2.3 Have a Recovery Key? Go to this website (appleid.apple.com). Sign in with your defunct email address and your password. Under the Account section, click Edit. Click Change Apple ID under the Apple ID section. Enter the email address you’d like to use as your new Apple ID. If you’re logged into an iPhone, iPad or iPod Touch device, and you’re running at least iOS 10.3 or later, then you can change your Apple ID email address straight from your device. Tap on your Apple ID card at the top. Select on Name, Phone Numbers, Email. Tap on the red mark next to your old email to delete it. Choose Continue on the window that pops up. Enter the email address you’d like to use instead. If you don’t remember the password to your Apple ID (and you don’t have access to the email address on your account), you might not be entirely out of luck. The Apple ID website allows you a couple of options, depending on what security option you have set up. If you’ve inputted security questions, then you can choose to answer those questions during the password reset process to reset your password. Have you lost your device? You can try going through the password reset steps on a friend’s or family member’s iOS device. Just open Find My iPhone, ensure that the email field is blank, and tap Forgot Apple ID or Password. You can also reset your Apple ID password on a trusted iOS device by going to Settings > iCloud > (Your Name) > Password & Security > Change Password. On a trusted Mac device, go to the Apple > System Preferences, and click on iCloud. Click Account Details and then on Forgot Apple ID or password. If all else fails and you have two-factor authentication set up, you can always try Apple’s account recovery process. It’s the last resort for when you can’t sign in or reset your Apple ID. 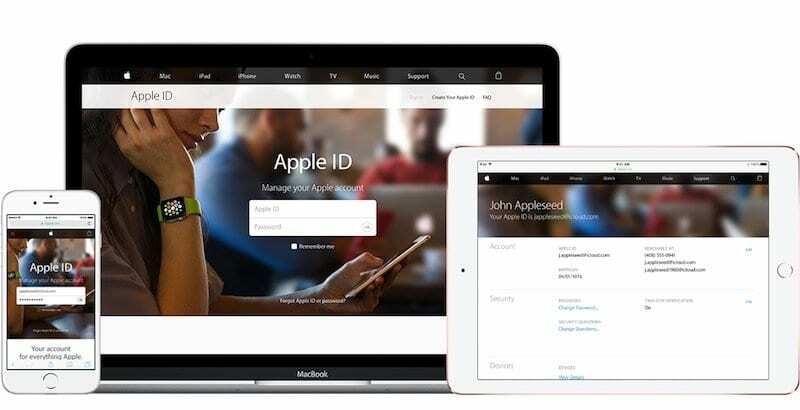 If you have two-factor authentication setup, you lost your password and your trusted device; there are cases when your Apple account could be permanently lost. If you updated your Apple ID from two-step verification to two-factor authentication in iOS 11+ or macOS High Sierra+, AND you have a recovery key, use that recovery key to help reset your password. Learn more about Recovery Keys in this Apple whitepaper. Even if you change your Apple ID email address, remember that an ounce of prevention equals a pound of cure. To avoid any issues in the future, follow these steps. Never use a corporate, school or work email for your Apple ID. There are plenty of email providers that offer free accounts — opt for something you’ll never lose access to. Set up a secondary email account. Apple lets you add a “rescue email address” that’ll save you in a pinch should anything happen to your primary email. Set up two-factor authentication. Generate a recovery key and write it down in a safe place. Don’t lose it. We hope that you found these tips helpful. Please let us know in the comments below if you have any questions. How To Fix Your Disabled Apple ID Today! I forgot my icloud password on one of my old ipad 2. The account is associated with my email [email protected] but I don’t have access to this email since my icloud account is locked. I tried to rest the password but I only have two options. Option 1 is to get a link through my icloud email which is locked and can’t access into it. Option two is through the answering security questions and I got stuck with a question that I can’t remember. Will be any other way to unlock my account if I know the password? Contact Apple support and see if there are any additional options for you to recover your iCloud/Apple ID password. I want to view photos on my tv. On the tv it asks me to sign into to iCloud. On the tv screen it has my deceased husband’s email address to sign in to iCloud. How do I change the email address so I can sign in with my own Apple account? I do not know what my husband’s password was. Sorry to learn of your loss. Our sympathies. That should work, if not, let us know. apple ID is defunct, and I want to change it to my current email. Your program will not let me. Why not? Hey, @SK, in order to access Password and Security, one would need to input their password. So it seems unlikely to recover a password with those steps given to JAY. I may be missing something here. I’m having the same problem with no password, a deactivated email and forgotten security questions for one of my pals. I tried the steps you showed JAY and couldn’t go further than tapping Password and Secutiry and encountering a popup asking for the password. Just a heads up. You’re correct! If you don’t have access to the old email account AND don’t remember the password for the Apple ID, it’s unlikely you can recover your Apple ID account and update it to a new email address. You can try to call Apple and talk to Account Security and ask for access to your old Apple ID account. Some readers tell us Apple helped them out–and others say this didn’t work. So it’s mixed results when talking to Apple’s Support team for Apple IDs. HOW CAN I RECOVER PASSWORD FOR THE DEACTIVATED EMAIL ADDRESS? If you forgot your password, on one of your devices go to Settings > Apple ID Profile at the top > Password & Security > Change Password. Follow the steps on-screen to update your password. This is something I’ve been looking to do for ages. Thanks you Mike for sharing.